The John Pawson collection of cookware from Demeyere provides sophisticated pieces that meet the goal of combining formal simplicity with functional complexity. Minimalist architect John Pawson was inspired by his belief that the kitchen is the center of the home and created exquisite pieces to elevate everyday cooking for all. Each modern pan beautifully transitions from the stove to the table thanks to the revolutionary Silvinox surface treatment that maintains the stunning, silvery white finish. A 7-layer construction provides unparalleled frying and browning while guaranteeing exceptional heat distribution and retention. 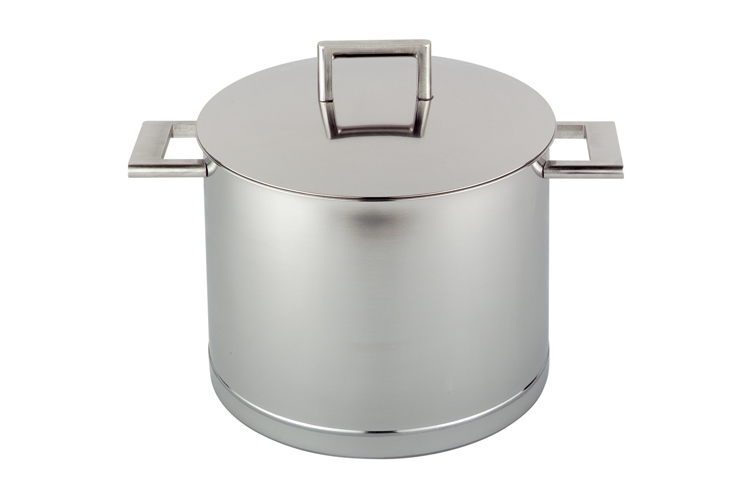 The 8.5 quart stockpot features a tall narrow shape, useful for everything from pasta to stocks and soups.